The value of a Conservatory Ball Park Figure? Before choosing a floor material for your conservatory you must consider the use you will be putting your conservatory too. If part of it is a kitchen you’ll need to choose a floor that is moisture and spill resistant. If it’s going to be a children’s play area it should be hardwearing and skid resistant. You will also need to consider the traffic through the conservatory into the garden; what dirt might get carried in from outside on the soles of shoes and boots and the wear the floor may get. A well-maintained conservatory will give you many years of pleasure and a regular conservatory-cleaning maintenance programme will preserve its good looks. 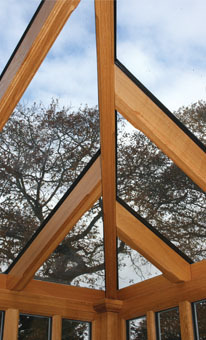 The majority of your conservatory will be low-maintenance but you should pay particular attention to glass and polycarbonate roofs and the timber if you have a wood conservatory. You can contract a company to provide a conservatory-cleaning programme for you and they will visit several times a year to undertake conservatory cleaning for you. They will use specialist tools and equipment to reach high places and cleaning products that will not harm the fabric of your conservatory. 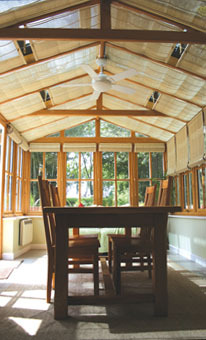 Some people find that a conservatory can be too hot in extreme summer heat and uninviting on cold winter days, even though they have made provision for good conservatory heating and ventilation. 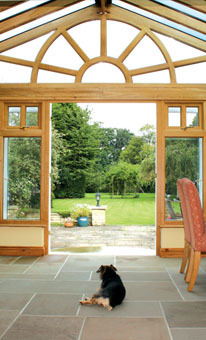 Both problems can be overcome if conservatory blinds and awnings are installed. One or the other may solve your problem. Blinds can help cut winter heating bills by reducing the volume of warm air escaping through un-insulated glass and with blinds and/or an awning, the conservatory will stay cooler in the summer as the build-up of heat will be reduced.